Located on a high desert plateau between two large mountain ranges, Mountain Home AFB is situated about 50 miles southeast of Boise and 90 miles northwest of Twin Falls, Idaho. The city of Mountain Home, Idaho has a population of approximately 16,848.Mountain Home Air Force Base is approximately 3,000 feet above sea level, the climate has its ups and downs with summer high temperatures ranging from 85-100 degrees and lows hovering between 45-60 degrees. Winter high temperatures average 45 degrees, with lows averaging about 24 degrees. At about the same time the 366th Fighter Group was started in June 1942, construction plans began in Idaho for Mountain Home AFB. The land cost only $1 or $2 an acre and construction began in November 1942. Mountain Home Army Air Field officially opened August 7, 1943. World War II ended and the mission at Mountain Home reverted to B-24 training. In October 1945, the base was placed on inactive status. The base remained inactive until December, 1948 when it hosted the 5th Reconnaissance Group and then the 5th Strategic Reconnaissance Wing, flying the RB-17. 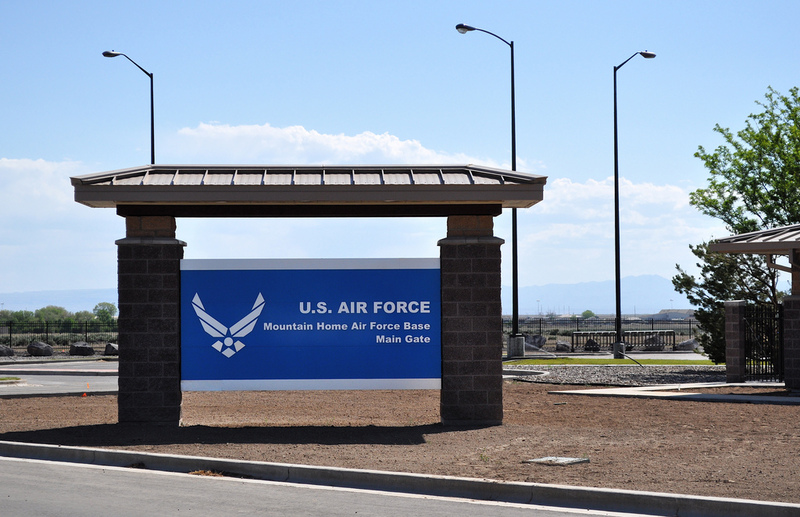 When the Air Force became an independent service, the base was renamed Mountain Home Air Force Base. In 1953, the base was transferred to Strategic Air Command, which assigned its 9th Bombardment Wing to Mountain Home AFB. In 1959, construction of three Titan missile sites began in the local area. The missile sites remained active for only three years. 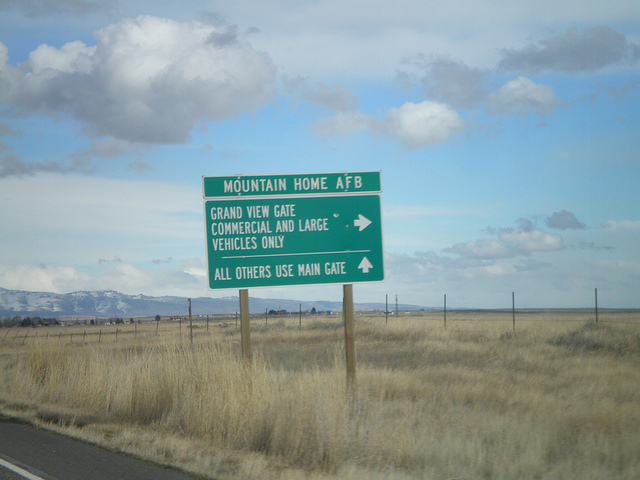 Control of Mountain Home AFB passed from Strategic Air Command to Tactical Air Command in January 1966. With this change, the 67th Tactical Reconnaissance Wing replaced the 9th Strategic Aerospace Wing. The 347th Tactical Fighter Wing, equipped with F-111Fs, replaced the 67th as host unit of the base in May 1971. The 347th had a short stay at Mountain Home, conducting F-111F training until October 1972. Upon arrival, the 366th absorbed all people and equipment from the 347th. The 366th received F-111A aircraft from Nellis AFB, NV. The Air Force announced plans to place EF-111A aircraft at Mountain Home AFB in March 1980, with the 366th Tactical Fighter Wing training F-111A and EF-111A aircrews while maintaining combat readiness in both aircraft. In early 1991, the Air Force announced that the 366th would become the Air Force's premier air intervention composite wing. The air intervention composite wing's rapid transition from concept to reality began in October 1991, when it was designated the 366th Wing. The wing's new fighter squadrons were activated as part of the composite wing in March, 1992. The 389th began flying the dual-role F-16C Fighting Falcon, while the 391st was equipped with the deadly nighttime fighter-bomber, F-15E Strike Eagle. These two squadrons provide Gunfighters round-the-clock precision capability. The wing received its air superiority aircraft, F-15Cs, in September 1992. With its internal 20mm cannon and air-to-air missiles, the F-15C protects the wing's high-value assets from enemy air threats. The wing also gained the 22d Air Refueling Squadron, equipped with the KC-135R. These tankers give the air intervention composite wing its ability to deploy globally at a moment's notice. The wing gained the 34th Bomb Squadron with their B-1B aircraft, April 1994 and began the beddown of the aircraft from Ellsworth AFB, SD to Mountain Home AFB in August 1996. The 34th Bomb squadron (B-1B bombers) and the 22nd Air refueling Squadron (KC-135 tankers) were deactivated in the summer of 2002, leaving the wing with the the F-15E, F-15C and the F-16CJ type aircraft. After the 366th Wing's success at Operation Provide Comfort, the wing's mission changed from an air intervention composite wing to an air expeditionary wing on January 1, 1997. On September 27, 2002, the Wing took on the designation of the 366th Fighter Wing and became a member of an air expeditionary force. For the past 50 years both Mountain Home AFB and the 366th Fighter Wing have played vital roles in this nation's defense. Now, together as partners, they forge ahead as the leading edge of airpower into the next century. The 366th Fighter Wing is a member of an air expeditionary force. The Wing blends the firepower of F-15C Eagles and the F-15E Strike Eagles, to form a cohesive aerial strike force. The population of Mountain Home AFB is as follows: 3,173 active duty, 3,900 dependents (children and spouses), 10,000+ retirees, and 406 GS Civilians, and 176 NAF Civilians. A new shuttle system that encompasses both base and town is now in place. 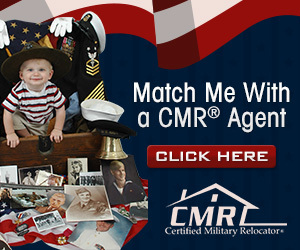 Military personnel along with DOD civilians are reimbursed for the cost of this service. The base taxi is also available for official use only. From the airport, head southwest on W Airport Way. Continue onto the Vista Connector Road. Turn Right to merge onto I-84 toward Mountain Home. Take exit 90 for I-84 toward State Hwy 51/State Hwy 67 for Mountain Home. Merge onto I-84 BUS E/Old U.S. 30/Sunset Strip. This road will turn into Airbase Road after the underpass. Follow all the way to the base gate, about 15 minutes. The entire drive from the about to the base gate will take just under an hour. If you are traveling with a U-Haul or trailer, you must enter the base through the Grandview Gate. Take I-84 and follow the same directions above, however from Airbase Road you will want to take a right on Grandview Road and follow the road until you see the Grandview Gate on the left. Grandview Gate hours are from 6am-10pm daily. No matter which direction you come from, take Idaho Interstate 84. From the airport, head southwest on W Airport Way. Contnue on to Vista Connector Road. Turn Right to merge onto I-84 toward Mountain Home. Take exit 90 for I-84 toward State Hwy 51/State Hwy 67/Mountain Home/Bruneau. Merge onto I-84 BUS E/Old US 30/Sunset Strip. Contunie to follow I-84 BUS E/Old US 30 E. Continue onto W 6th St, which turns into Airbase Rd after the overpass. This will lead you directly to the base gate. If you are travelling with non id-card holders in a separate vehicle, they must have license, insurance, and registration and check in at the front gate Visitor Center on the right hand side of the gate. If you are hauling your household goods, you must use the Grandview gate. Just turn right onto Grandview from Airbase Road and Grandview gate is on the left. Grandview gate hours are 6am-10pm every day. As of August 2011, you must register your ID card with the base electronic verification system before being granted access through the gate. This can be accomplished at the Visitors Center at the main gate. There is only one airport within 60 miles of the base and that is the Boise Airport. Have your sponsor pick you up upon your arrival otherwise there are only taxis available, which are very expensive. No listings found for Mountain Home Air Force Base.